A range of interactive, uninterruptible power supplies (UPS) varying from 650VA to 2000VA capacity with a variety of output sockets. All models include management features, allowing controlled start-up, shutdown and status monitoring. 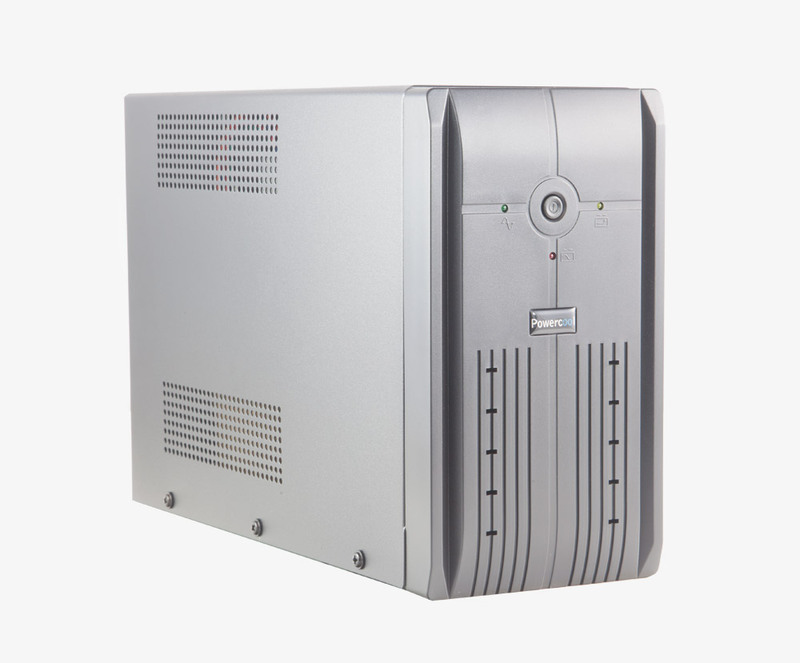 The front panel, on models up to 1200VA have LED status indictors; the 1500VA and 2000VA models have an LCD display. 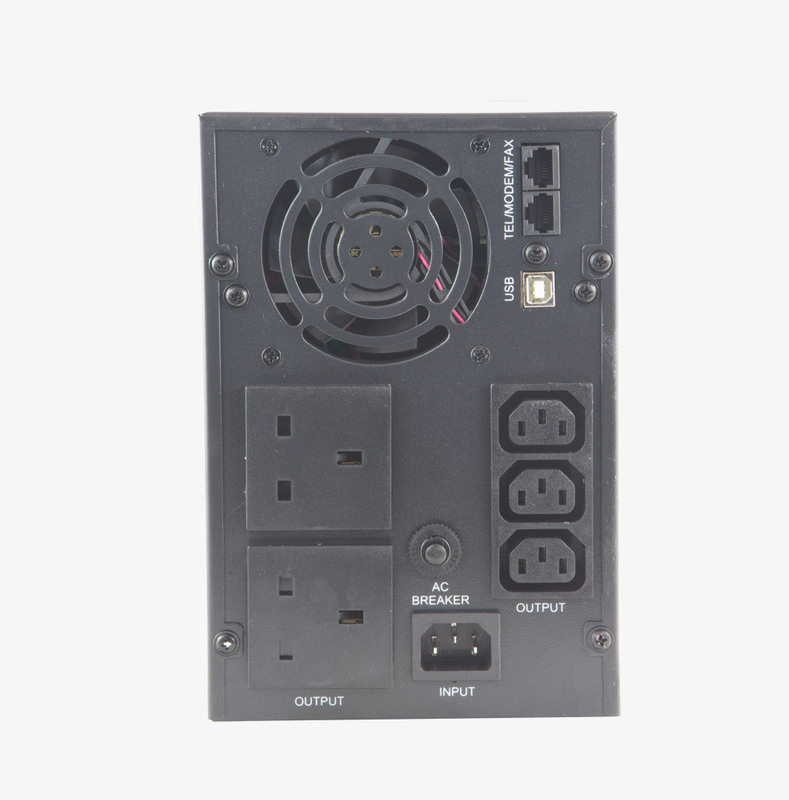 At the rear is a variety of output sockets: RJ45 socket with surge protection; USB socket; a replaceable or resettable fuse, depending on model. 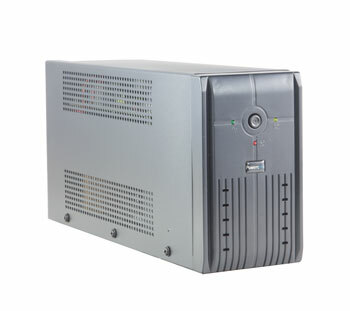 Power is provided to the UPS, on models up to 1500VA by a captive 1.0 metre 3-pin UK cable; the 2000VA model has an IEC14 socket and supplied with a 1 metre 3-pin UK power cable. 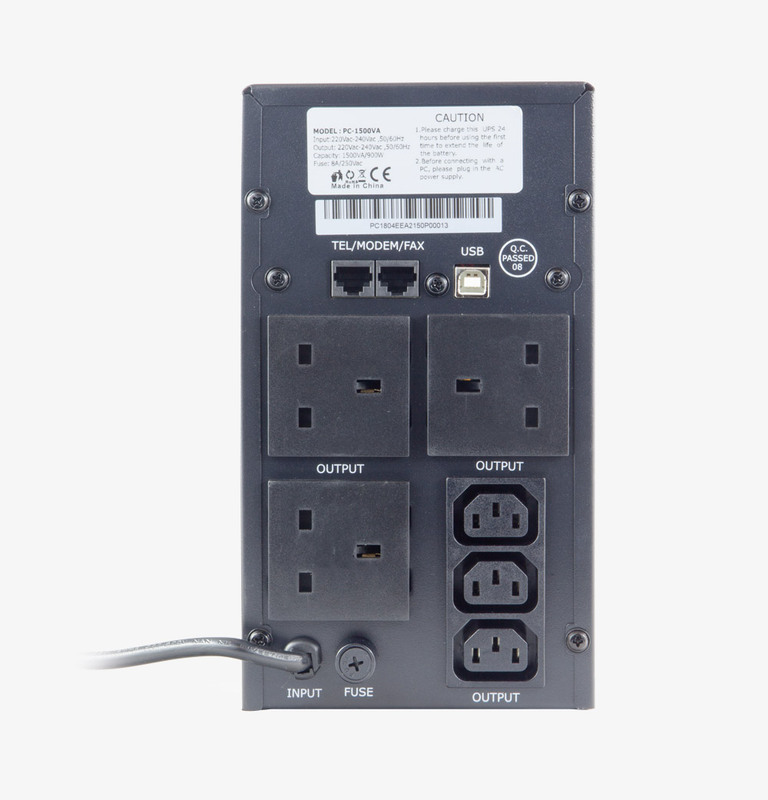 The 1200VA and above models are supplied with a 1.2 metre IEC13 to IEC14 cable, for connecting other devices. 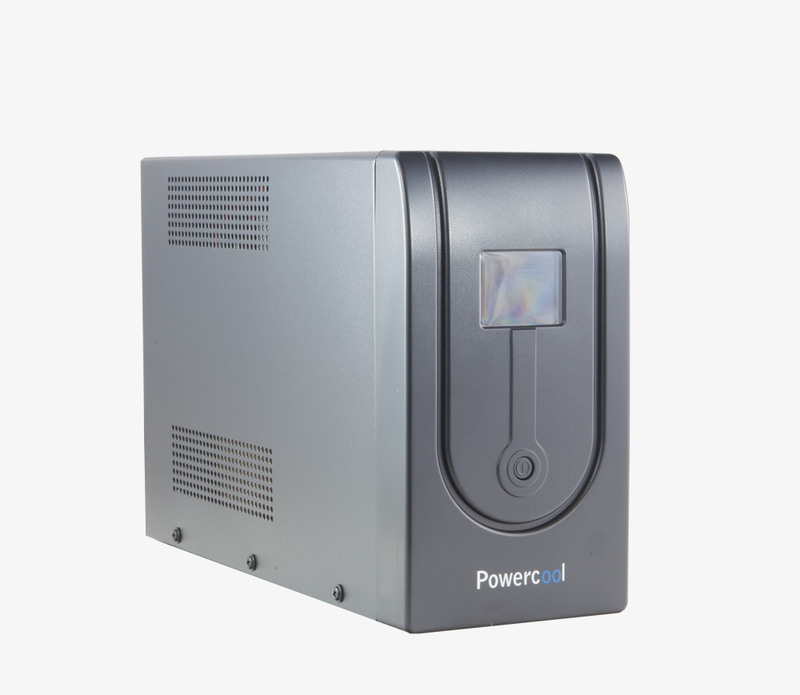 Power input and output is 220-240V for all models. The output wave form, for models up to and including 1500VA is a simulated sine wave; for the 2000VA model, it is a pure sine wave. 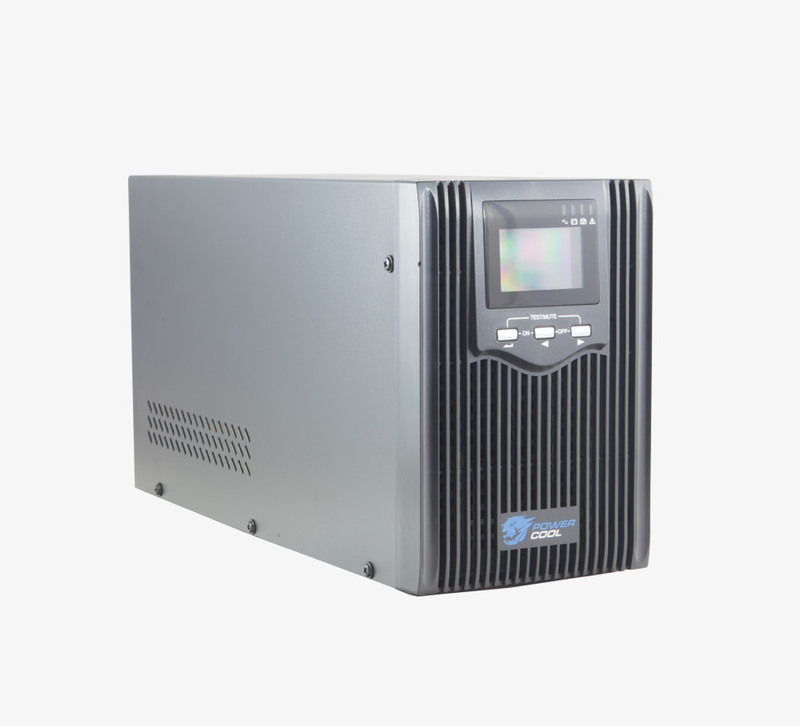 The UPS is supplied with management software, allowing controlled start-up, shutdown and status monitoring of such things as: battery temperature, battery capacity, load level, and remaining backup time. The software can also be used for automatic system shutdown, saving of open documents, and Email or SMS alerts. 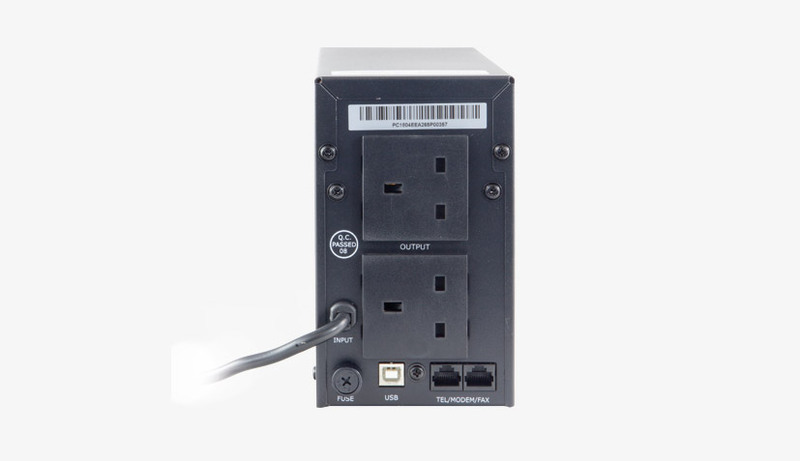 The management features are accessed via USB for models up to and including 1500VA; the 2000VA model, via USB or SNMP. Note: Do not connect a laser printer or scanner to a UPS. 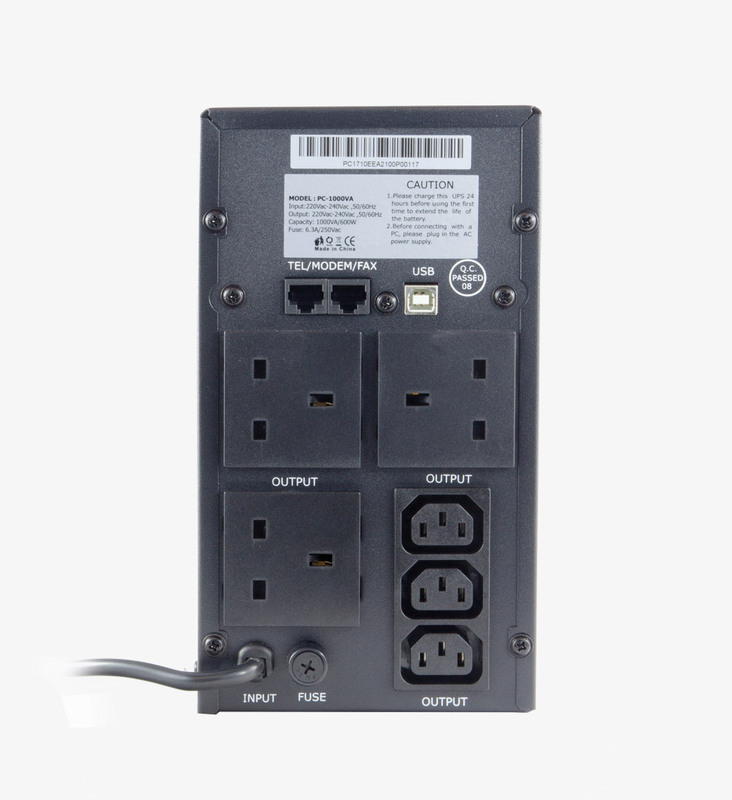 These devices in particular have a high inrush current, and may damage the UPS.